"Helping people THINK Better, BE Better, DO Better"
Deborah runs the consulting, training and coaching firm, The People Company LLC. She consults with organizations who want to leverage the power of change to heighten development and performance for their people. 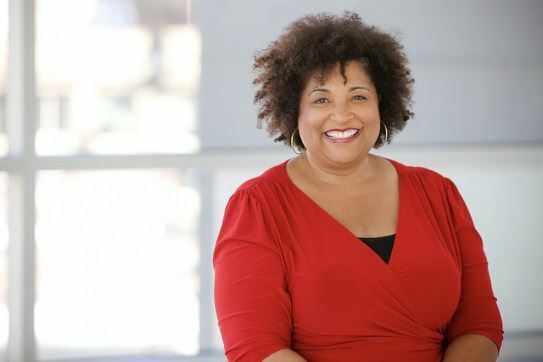 As a diversity and inclusion consultant, trainer and speaker, Deborah designs and delivers thought-provoking and challenging experiences that help people THINK better, DO better and BE better at what matters most. As a coach, Deborah delivers insightful, focused guidance to help her clients zero in on their goals and move toward achieving results. She works with organizations and individuals who know they need dedicated attention and accountability and are willing to do the work to improve their performance. Deborah brings more than 25 years of business leadership, operations, talent development, project and change management, strategic planning and financial analysis experience that empowers audiences with IMPACTFUL and ENGAGING strategies to develop inclusive and high performing teams and organizations. "Deborah’s presentation style was exceptional, and helped us to better understand the importance of diversity in the workplace as well as its value to Quartz. She has a remarkable ability to lead attendees through a critical process of self-discovery, helping them to consider their own innate biases and personal strategies for overcoming them. Her dedication to the topic is clearly evident, and she is passionate about sharing her knowledge through her thought-provoking presentation and interactive discussion activities. I highly recommend Deborah as a speaker, facilitator and change agent for any company seeking to better understand Diversity & Inclusion, but more importantly, for companies wishing to make actual change in this regard." "We recently worked with Deborah to provide unconscious bias training in our Madison office. Deborah was great to work with. She was very organized and had a very effective, relatable manner of presenting the information to our staff. She created a very positive buzz throughout our organization and received very high marks on staff evaluations. Thanks Deborah for making it a memorable and positive experience!" "Deborah is a gem! She has been a coach, mentor and friend to me. Her insights are invaluable!! Engage her and you'll be glad you did! "Deborah Biddle is a phenomenal speaker. She has a remarkable ability to effectively present and engage audiences from diverse backgrounds and levels of experience. I was so impressed by her talent and the way she connected with audiences that I invited Deborah to be a guest speaker for our Human Resources undergraduate course. The students gave Deborah rave reviews and even mentioned that she was a favorite speaker. I heartily endorse her for any speaking role! Deborah is also reliable, dedicated, upbeat and inspirational. Audiences can gain so much from her knowledge and from the vast array of topics, along with her incredible years of experience and raw talent. We would all be lucky to have Deborah as an event speaker. " CLIENTS INCLUDE . . .